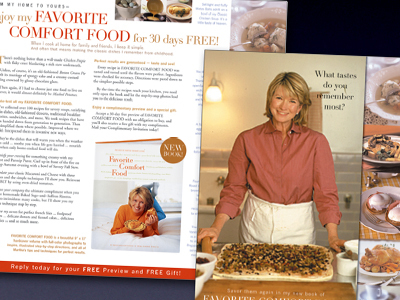 To supplement the marketing tactics for her line of books, the folks at Martha Stewart Living approached us to write, design and execute direct mail campaigns. It was both a thrill and a challenge working with such a high-profile client. Their attention to brand consistency forced us to design within very strict graphical rules. Dircks was the only team to balance performance with aesthetic to create winning direct mail and print advertising for 4 years.